Some homes or pieces of land are out of balance, which can impact the health and well-being of the people, animals and plants who live there. The imbalance may be caused by environmental disturbances (such as water or other currents below the property), by energies that do not belong there, or by unresolved ancestral issues. We work on finding the root cause of these disturbances, release any misplaced energies and return balance and blessing to the home or land. This is a peaceful, compassionate process that works for the higher good of all. It has nothing to do with exorcism or the voyeurism of 'ghost hunting' programs in the media. You sense that something is out of balance in your home. You don't feel comfortable being at home or spending time in certain rooms. You may sense a presence of something that you cannot explain. You have unexplained illnesses such as deep fatigue, digestive problems, headaches, depression, auto immune disorders or constant illness, which may not react well to any treatments. Your kids can't sleep or are restless. They may show strange emotions, such as sudden anger. Your crops - or the animals on your land - do not thrive. Infrastructure keeps breaking - sometimes with no obvious reason. I offer these services along with my shamanic practitioner colleague Shenoah Taylor. A clearing and blessing for a one-bedroom house or flat takes approximately half a day. We would also need to do some preparation work ahead of the visit, and sometimes there is some follow-up to do. If you ask us for a house clearing/ blessing, we will first explore the issue with you on the phone, gathering information about the history and context of the house. On the day of the clearing, we will ask you to lead us through your home so that we can sketch out the work. We will do some diagnostic work to find energy blocks. Once we found them, we will go on three tours through your home, carrying water, fire (a candle) and incense to do the cleansing. Additional releasing and aligning work will follow, until the balance is restored. Depending on the size of the land, this often takes a full day. We will start by exploring the issue with you and will gather some information about the history of the land. 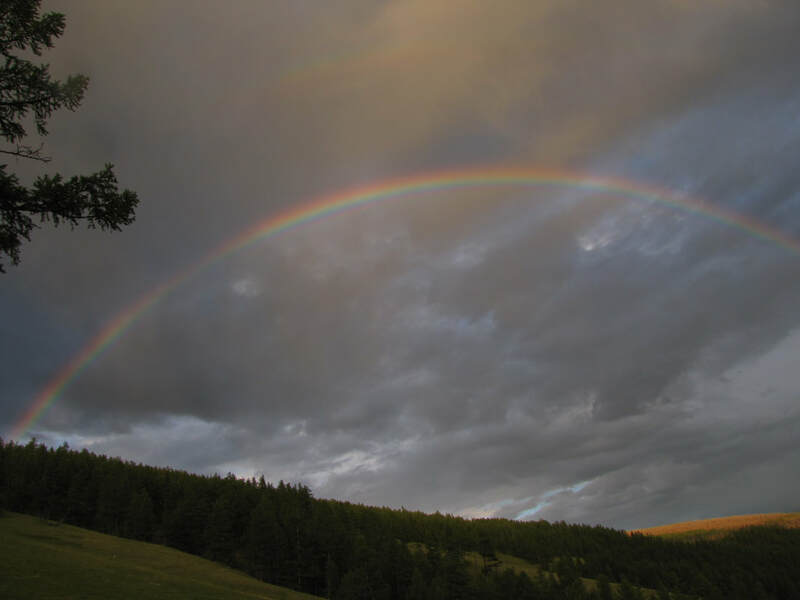 When arriving at the land, we will attune ourselves to it by walking around the perimeter several times. During this time, it becomes clear what the land needs, and how we can help. Unlike house/flat healing work, there is less of a predefined process for land clearing. While walking on the land, we will sense what needs to be done and likely be given a ceremony that we can perform right there on the land. Releasing any stuck or misplaced energy, and making peace with any elemental and nature energies, are always part of the process. At the end of the process, we will bless the land. 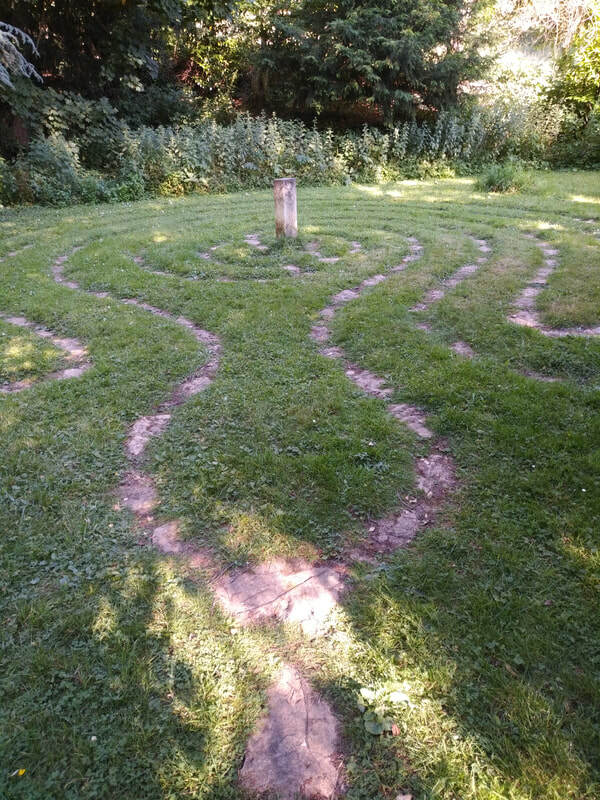 If you would like to create an area in your garden that is dedicated to quiet reflection, meditation or connection with your ancestors, we can help. Similarly, if you have a kitchen garden or plan to create one, we can advise you on the medical and spiritual qualities of some of the common kitchen herbs. We are not botanical experts, but we have researched some of the ancient qualities of plants, and through 'journey work' - a special kind of meditation - we can help you connect to the essence of the plant (or do this for you and the bring some advice and inspiration). We just give inspiration and advice, and guide your inner work with your garden. We won't build your sanctuary for you, but if you need help, we can connect you with gardeners and pond-builders once you know what you would like to create. If you like to chat about your garden project now, please get in touch.